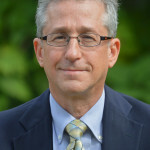 Dr. Mernoff is an Investigator in the Center for Neurorestoration and Neurotechnology at PVAMC, where he is assisting in the development of the Neurorehabilitation Laboratory which investigates the utility of various techniques and devices for the improvement of function of individuals with neurological impairments. He is the Providence VA Clinical Site Investigator for Braingate; in this capacity he enrolls and monitors participants. Dr. Mernoff is a general neurologist specializing in Neurorehabilitation and Traumatic Brain Injury (TBI). He leads the Traumatic Brain Injury, Spinal Cord Injury, and Amyotrophic Lateral Sclerosis (ALS–Lou Gehrig’s Disease) Clinics at the Providence VAMC. He received his B.S. in Biochemistry with Honors from SUNY Stony Brook in 1984 and his M.D. degree from NYU School of Medicine in 1988. He was a resident and Chief Resident in Neurology at Boston University Medical Center and completed fellowships in Neurorehabilitation and TBI at Braintree Hospital and Boston University Medical Center in 1994. He is a Fellow of the American Academy of Neurology. He leads several committees at PVAMC is a member of the RI Stroke Task Force.